Sugarloafer Since gear is back! Actually, it never left. But we are sure you know of someone special who would love a Sugarloafer Since fleece, LL Bean tote, or cool hat to flaunt their time at their favorite mountain. Click on the link to the right (under “Pages”) to view the description of items and to place your order. 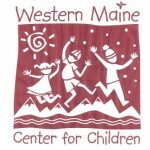 Feel free to also email us with inquiries or orders: westernmainekids@gmail.com. Please note, we do not currently have an order pending, but we are happy to speak with you about having a Sugarloafer Since item special ordered for you! We wish to thank everyone who purchased tickets to our Spring Raffle this year, and to all who spread the word to make this event a success. WMCFC child care is a significant part of the Sugarloaf community and the support is truly appreciated by all of our families with children in the programs. The winning tickets were drawn at The Rack prior to a performance by The Outerspace Band on Sunday evening. Our lucky winners were Bailey Sitz, Christine Proulx, Sarah Strunk, and Mary Gregor. They will have one more fun activity to add to their summer schedule this year thanks to the generous donations of prizes by Kip Files/Victory Chimes, Jay Reynolds/Southport Charters LLC, and Keith Deschambeault/Acadian Seaplanes. Thanks again to all, and we hope you get a chance to enjoy some of this great spring skiing!!! Our fearless “Brigade” leader is Marcia White. For more information check out the TerraCycle website www.terracycle.net/brigades and start collecting! The kids and the Earth will thank you! Black Fly season is coming to an end and summer is upon us as of today. There is a lot going on up here in the coming months, with the Stratton Family Festival in June and Kingfield Days in July. The kids here at Western Maine Center for Children have been enjoying the playground more and more each day with all the great weather we’ve been having and since our tadpoles grew into little frogs, we took a field trip to release them back into the wild. 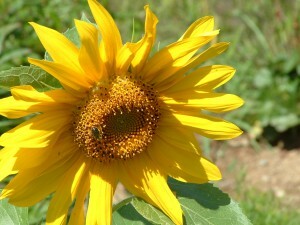 The plants in our garden are growing and life is good here at WMCFC! For the older set, Outdoor Adventure Camp in Carrabassett Valley will be starting the week of July 9th. This camp is geared for kids aged 4-13 years and runs weekly through August 17th. The camp offers overnight trips for ages 8 and up as well as great hikes, and age appropriate activities for all the kids including swim, tennis, golf and others. For more information contact Marcia White at 207-237-6909 or email mwhite@sugarloaf.com. It’s a perfect reason to come on up and spend some time at your “winter” place for a week and enjoy the beauty of Carrabassett Valley in the summer time. If you have younger children that are not quite old enough for Outdoor Adventure Camp, feel free to give WMCFC a call for child care services. We are open M-Th and would be happy to see some new faces.